Camp Verde, Arizona—In a desperate attempt to save their own lives, Johnathon Hardaway, age 22, was killed as he and the driver of a runaway semi-truck leapt from the vehicle as it careened out of control near Camp Verde on Wednesday. The Copper Canyon Fire and Medical Authority and the Arizona Department of Public Safety responded to the scene along Copper Canyon on I-17. 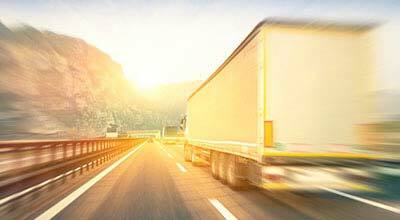 The semi-tractor hauling a box trailer containing a load of garlic was northbound on I-17. 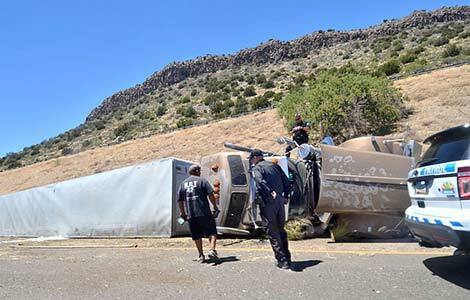 The brakes malfunctioned as it approached the down grade south of Camp Verde. The driver and his passenger jumped as the semi rounded a curve. The truck continued another one-quarter mile before rolling onto its side in the median. A runaway ramp built for this purpose was another mile away. Mr. Hardaway and the unidentified 25-year-old driver were from Indianapolis. The driver was transported to a nearby hospital for treatment of his non-life threatening injuries. We extend our condolences to Mr. Hardaway’s family and friends and wish the driver a swift recovery from his injuries.